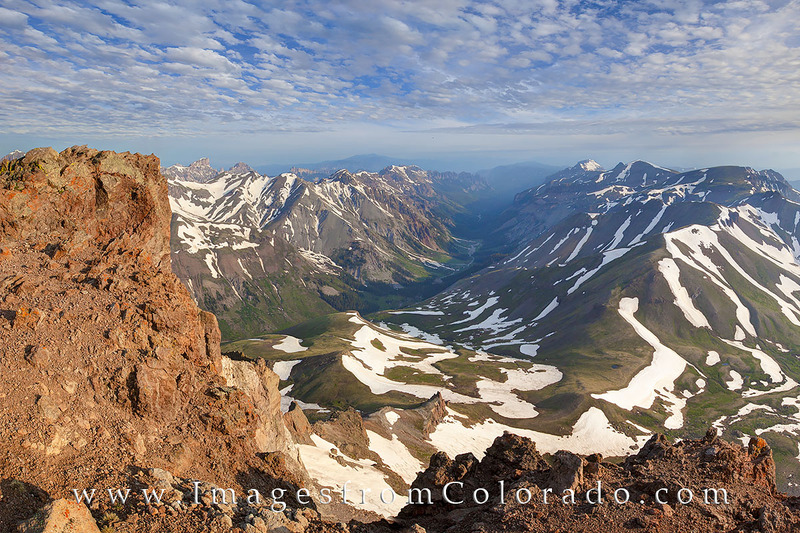 This photograph from Uncompaghre Peak is near the same as the first version, just without the hiker. The tripod and camera were in the same place, but I wanted to capture the depth of the San Juans alone in their majestic beauty from this perch high above the valley. Photo © copyright by Rob Greebon.